In this report, market sizes have been derived using both, the bottom-up and top-down approaches. First, the market size for oil types (synthetic oil and mineral oil), applications (refrigerator & freezer, air conditioner, automotive AC system), and regions (APAC, North America, South America, Europe, and the Middle East & Africa) were identified through secondary and primary research. 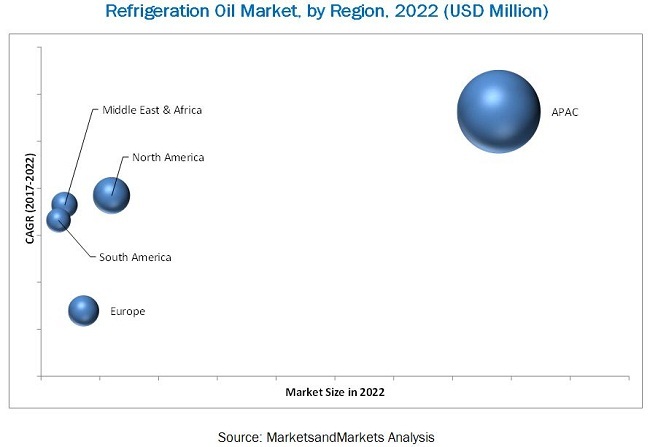 The overall refrigeration oil market size for various regions and countries was then calculated by adding these individual market sizes. 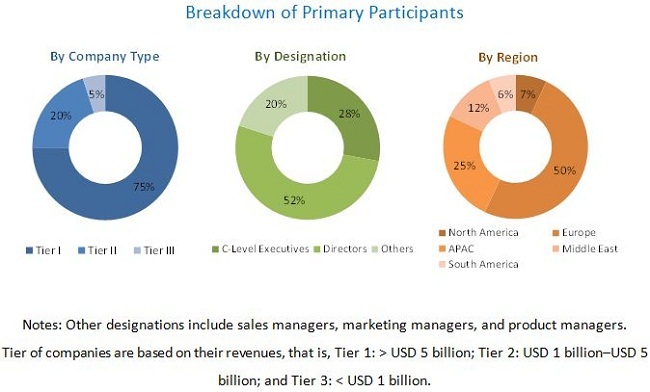 Major companies operating in the refrigeration oil market include JXTG Group (Japan), BASF (Germany), Idemitsu Kosan Co. (Japan), Royal Dutch Shell (Netherlands), ExxonMobil (US), BP (UK), PETRONAS (Malaysia), Chevron (US), Total (France), Sinopec Group (China), FUCHS (Germany), Johnson Controls (Ireland), Lubrizol (CPI Fluid Engineering Services) (US), Behr Hella Service GmbH (Germany), BVA, Inc. (US), Calumet Specialty Products Partners, L.P. (US), CAMCO Lubricants (US), CITGO Petroleum Corporation (US), Cosmo Oil Lubricants Co., Ltd. (Japan), Eni (Italy), Indian Oil Corporation (India), Isel (US), National Refrigerants, Inc. (US), Summit Oil Company (US), Lubriplate Lubricants Company (US), Lukoil (Russia), Petro-Canada Lubricants Inc. (Canada), Phillips 66 Lubricants (US), and Sun Company, Inc. (US). This study answers several questions for stakeholders, primarily which market segments they need to focus on during the next two to five years to prioritize their efforts and investments. This report categorizes the global refrigeration oil market based on oil type, application, and region.